One of the many things that I LOVE about Really Reasonable Ribbon is how their WONDERFUL ribbons, trims, laces, flowers and sweet products make all my cards "Camera Ready". I made a few cards for today's post using several of the fabulous products from the Really Reasonable Ribbon store to show you how quickly and easily they make my cards "Camera Ready". Once you pop on a bow, there you are! It's camera ready. All three of my cards use the same patterned papers and die-cut images. I inked and machine stitched them, and added a sticker sentiment to each one.....along with a cute little wire camera. 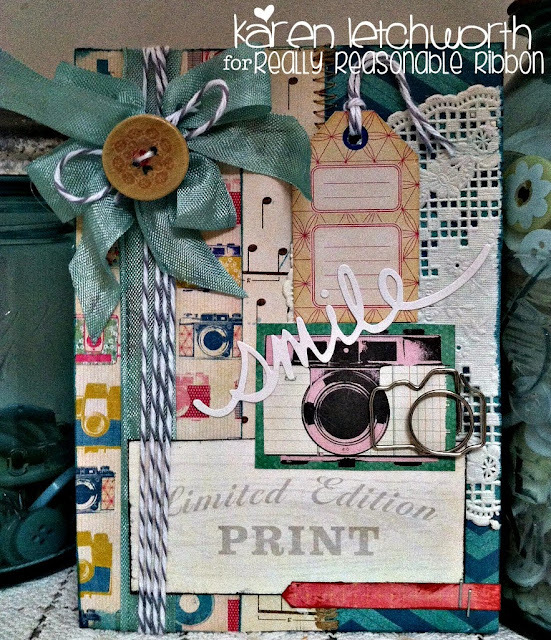 This is to again remind you all of how quickly and easily Really Reasonable Ribbons' products make all cards "Camera Ready" every time. The first and second cards both use Really Reasonable Ribbon's sweet Bay Leaf Seam Binding which I ran along the side or up the length of each card, and also used it to create a big "Camera Ready" bow on each. I also incorporated the lovely Oyster Baker's Twine into the first two cards; in the bow, tied into the buttons, and up the side of the cards. The third card is quite similar, but this one uses the Charcoal Gray Seam Binding and Blueberry Baker's Twine (both in my bow, on my little tags, up the length of the card, and also tied into the button). All three cards use pretty much all the same products; and yet Really Reasonable Ribbon helps to make each one look unique. They were each very easy to make, and you can see how these sweet ribbons make each one look "Camera Ready" and were SO fun to create. 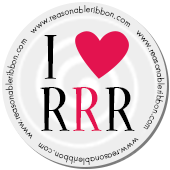 Thanks so much for stopping by the Really Reasonable Ribbon Blog today. We're always so grateful for your visits. 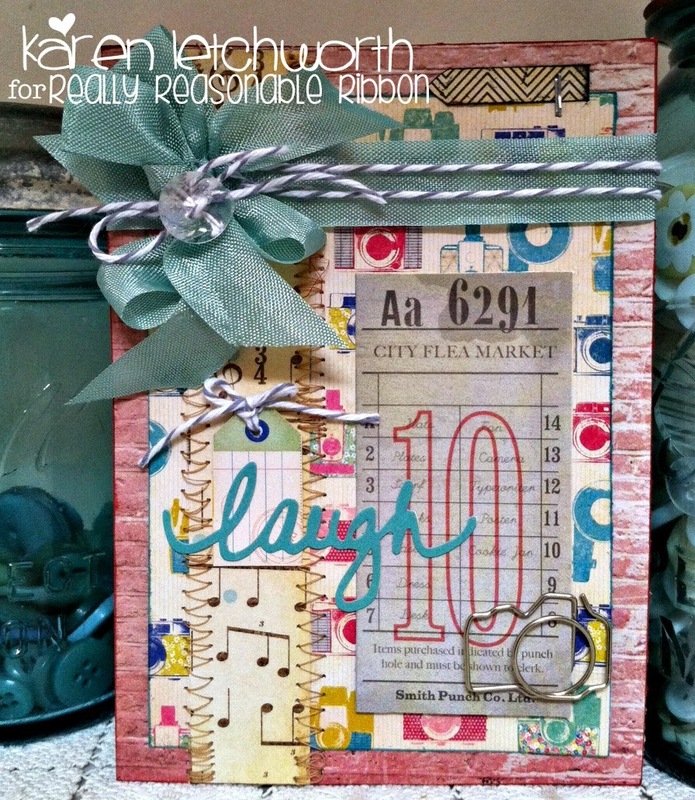 I'd love to have you stop by my blog, My Cup Runneth Over, to take a look at my "Camera Ready" cards. Today is a great day to treat yourself to some of our GORGEOUS products. I hope I've inspired you today. ENJOY! So pretty Karen! 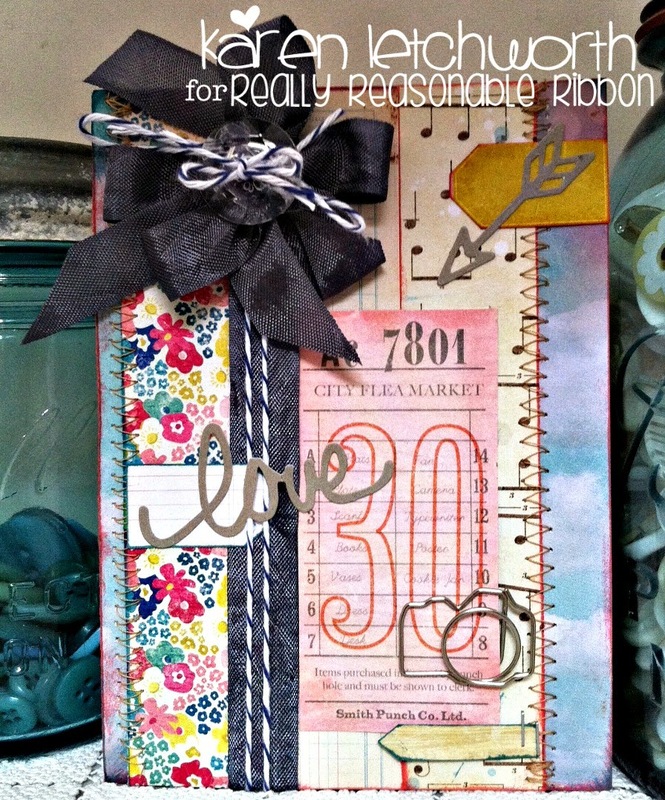 Love those ribbons. Hugs, Gracie.